When the book starts, Rose is very much a child, young even for her thirteen years, and at first I wasn't sure that Gingell would convince me that the girl was ready for a serious romance (HEA) by the time it happened, but the relationship between Rose and her dangerous wolf develops gradually while Rose herself develops knowledge and responsibility as Akiva's apprentice. She remains convinced for a long time, though, that the idea of anyone having a genuine romantic interest in her (instead of her flirtatious village-belle sister) is ridiculous; in a way, this conviction gives her an ease that crushes the wolf's pretensions and manipulations. There's an unusual interval where Rose's experiences have little to do with physically growing up, but exploring the magical nature of her forest-bound world (sorry to be cryptic, but this is the best I can do); Gingell's world-building feels rich enough to allow plenty of further discoveries. 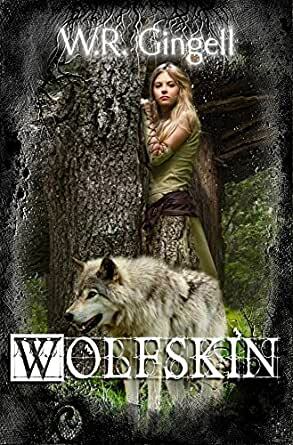 When the forest becomes a more dangerous and less contented place, straining under the shocking disappearances of several Wardens, Rose naturally refuses to simply sit back and stay safe, especially since she suspects the same powerful woman who cursed the wolf of being involved in this wide-scale wickedness. I don't want to get into spoiler territory, so I'll stop with that. Not every move Rose makes is wise, but I can happily say that she's NOT one of those TSTL heroines that make me groan, "She's not seriously going to ... She is!" As usual with Gingell's fantasies, I enjoyed spending time with her cast of characters, from Rose herself and the wolf/man called Bastian (who becomes less self-serving despite his desperation to break his curse), to the crusty Akiva (whose idea idea of teaching is often simply giving Rose opportunity and reason to discover for herself how the living magic works), to Rose's family, friends, and village beaux for her and sister Gwendolyn -- and perhaps even their widowed mother. I do need to get at typing up a list of the minor goofs I noted -- several cases of I-should-be-me and a few other things -- to pass on for correction, but they were neither confusing nor frequent enough to take me out of the story, so I have no hesitation about recommending it to anyone who wants a light and young-at-heart (but teen-angst-free) fantasy. I love how firmly inside the characters's heads we are. If the MC is confused, so is the reader. If she is in the middle of indescribable magic spells, then she won't waste paragraphs explaining nonsense to the reader. You just know there are forest threads and deeper forest and black curse lines and a sort of tricky sentience to the wardens. How does it work? I don't know, but it still makes enough sense. Bastian is a bit old for Rose, but at least he has been cursed. Maybe he's not really that much older. I loved the end with the tricky magic hut and curse breaking and forest revenge. There was just a splash of romance and nothing inappropriate. Nothing too violent, either. Every character has their own personality, which I like, even the salamander and the garden patches. I was smeptical about reading this book because it just didn't sound interedting. A tom girl living in the forest? A cursed wolf? I had no idea there would be gryphons and wardens and leafy hood anchors and village dances with dryads and deep forest off the paths. I have no idea if there was much of a government or taxes or anything beyond the village and forest, but I loved the ideas the readers did see. 5.0 out of 5 starsThis is an amazing read! 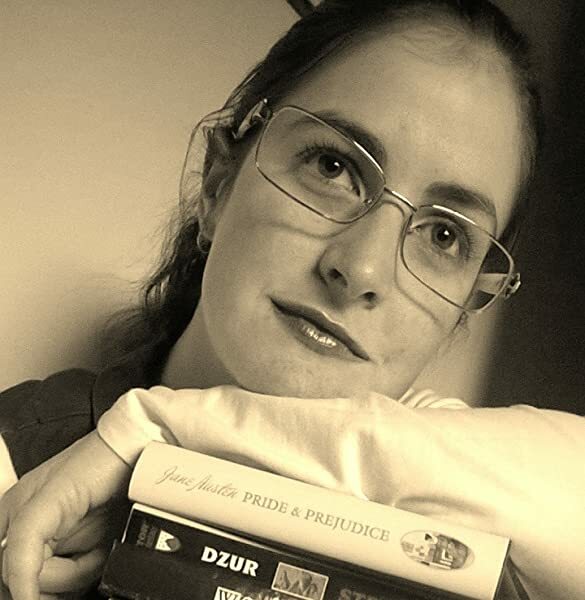 I'm not really into retellings, as I've read many in the years past and have not always enjoyed them. But this book is not like others. It's completely different from what we know as Little Red Riding Hood. There's a little girl who meets a wolf. But the similarities end there, and thank goodness. Rose is a chatty young girl when first you meet her. It's in the first person, so it took a little getting used to her chatty narrative. She's got a big imagination and wants to be a pirate called Cutlass Rose so she could keep her older sister in satin and pearls. The narrative changes as she gets older. You're there throughout the years with her and the changes are subtle until she's thinking in a more mature narrative. It's really quite amazing how well it flows that you experience her maturity as you read about her adventures and struggles. The characters are all great. There's no one dimensional person --- even the "bad guy" gets the comeuppance. I don't want to spoil it as there's a slight mystery when Wardens of the forest (one to whom Rose is apprenticed) starts disappearing. The wolf plays an integral part in the book, as he's with her from her earliest apprenticeship as a young girl to her journey to young womanhood. The book does have a traditional "fairy tale" quality, but like I said, it is a wonderful read full of great characters, a curse, a mystery, villains and a love story. Another favorite Gingell story, this one sort of a retelling of Red Riding Hood, and sort of its own thing. Which is good any way you look at it! I loved Rose as the viewpoint character. She has so much personality--not all of it positive!--and is totally oblivious to the romantic intentions of the males in her life, all of which brings this story to life even while Rose is doing ordinary tasks around Akiva's cottage and starting to learn her place. I enjoyed the story arcs for her sister and mother as well. Bastian is terrifying and creepy at first, but he grows as a character until I loved him to pieces. I liked his rival too, but once Bastian "grew up," the other guy didn't have a chance with me. Whether I can predict the endings or not, Gingell's books keep me glued to the page with no desire to look ahead! Which means I trust her to tell a great yarn from beginning to end. 5.0 out of 5 starsWolfishly wonderful!